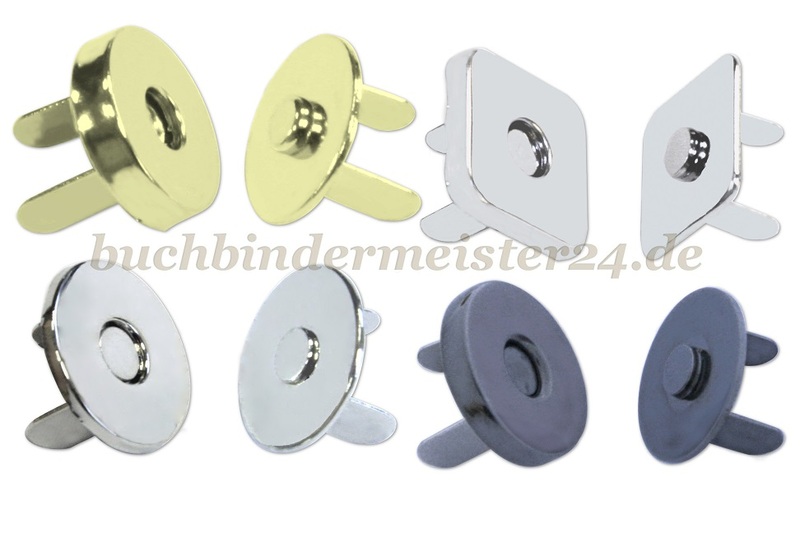 Magnetic snap closures in various designs. 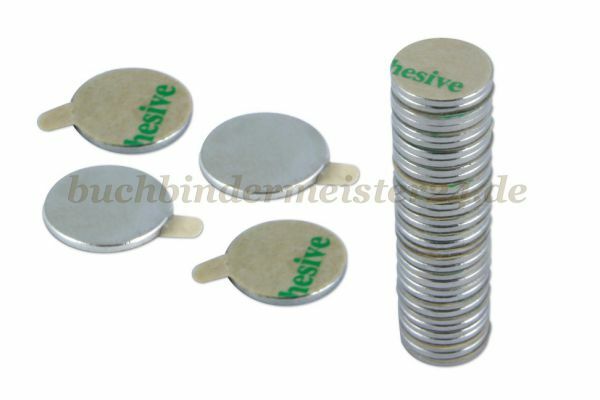 Our magnetic snap closures you can integrate easily into your clothing, bags, wallets, folders and binders. 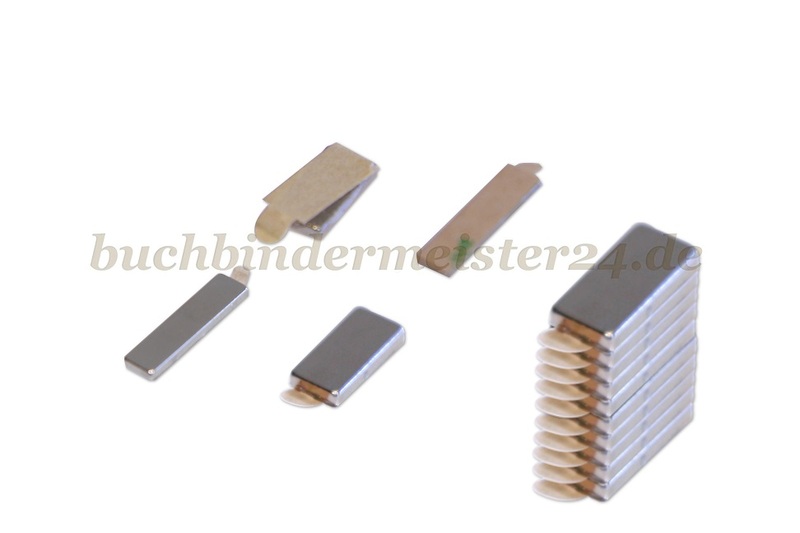 Insert the two "wings" through the material to which you want to fix the magnetic snap closure. Then a washer from the back is still attached and the "wings" are bent. Finished is the magnetic closure. Take two neodymium disc magnets, peel off the foil and stick the disc magnet together e.g. on the inside of a folder. Now peel off the foil at the other disc magnet and press both magnets on the opposite side. Finished is the magnetic closure.